First off, Happy New Year to you! My goal is to share goals for the New Year before we run too far into 2018 (pun intended). How's that for a resolution? Let me be honest, I haven't blogged much lately because my brain feels "fuzzy". Maybe that's not the right word for it. Basically I feel like I'm still spinning in this whirlwind of life changes we're going through. Really, really GOOD changes but it's hard to articulate my thoughts. In bulleted format, because it's all my brain will currently allow, let me give you a run down of the previous and the newest years. I joined the BibRave Pro team in January. Two races were run, the Frozen Feat 10k & Hot Chocolate 15k Minneapolis (with BibRave), and I continued "running for two" with Baby C through 39 weeks pregnant. My 30th birthday happened in May. Whoa. 30. Our homeschooling journey began as E started the God's Little Explorers preschool curriculum in August. Baby C was born on his due date. My husband finished out his last year on the farm (and is starting his new job on Monday!). 9 out of the 12 months were spent growing our third baby. This pregnancy was easy (for pregnancy anyways), about as easy going as our Baby C is! We're getting the hang of life as a family of FIVE! The Frozen Feat 10k in February (Brrr!) and Grandma's Marathon in June are on my race calendar so far. E will be a Kindergartener this Fall. How is that even possible! Two races in the Fall are a possibility depending on how Grandma's goes. I'm returning for my second year with BibRave because last year was THAT awesome! SPIRITUAL GOAL: Be more devoted to prayer and to be more confident in my calling and in sharing Jesus with others. PHYSICAL GOAL: Become a more balanced runner using the Hanson Marathon Method and yoga for strength and stretching. As I'm regaining my running fitness after having our baby, I'm focusing on keeping my cadence at 180+ spm. Running pregnant makes my legs a bit lazy! Not complaining, just sayin'. MENTAL GOAL: Keep my social media usage to a minimum. Obviously as a blogger/reviewer, I have my to-do list of tasks to complete but I want have to stay more on point this year. Free time is a scarce resource so I need to be intentional and time efficient in my writing. MOM GOAL: Breastfeed our newest little boy through the 12-month mark. I'm pumping and freezing once a day to use for later as well. Breastfeeding while marathon training means I need to drink more water and eat more (still quality calories, mostly!). 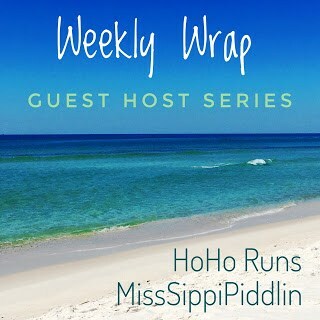 One last note to ensure that this post reaches novel length, here's a quick workout wrap-up for the week with the Weekly Wrap crew. Rest day from official workouts anyways. I took the big boys out for a sled ride and we went skating to make the most of the sunshine & above zero temps. The weather was in the 30's, sun was shining and it just felt amazing. I ran at whatever pace I wanted and cranked the tunes, something I hadn't done in a long time. Testing out my "easy" pace for the upcoming marathon training cycle. It doesn't feel quite as easy as it should yet. We'll see how a month and a half of base building helps get me back in shape. TBD: 4 to 6 mile long run planned. What's a favorite memory from 2017 or goal for 2018? I am very impressed that you have 5 kiddies and are still so dedicated to your running and fitness. Kudos to you! I hope you have a great 2018! I only have 3 but thank you! 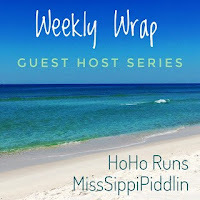 Very impressive--new momma and training for a marathon... and I'm excited to have you join us on the Weekly Wrap! Wow - you certainly had a super busy 2017! You're amazing for being able to balance it all and train! I love that you broke out your goals into different categories! Firstly, congratulations on Baby No. 3!! Can't believe how much you still did running-wise while pregnant! And you are not slowing down now. That's real inspiration for me. I have 2 kids but if we fall pregnant again, I hope I handle it as gracefully as you have done. Best of luck with the New Year. Those goals are just awesome! Sounds like great goals for 2018! Also, after that photo I'm CRAVING a doughnut haha. Cheers! You had an amazing and very full year. I'm glad to hear Baby C is easy going. I know you'll be able to return to your normal running mileage and speed in no time. Congrats on returning with Bib Rave! Thanks for linking.